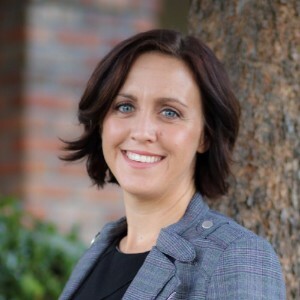 In an announcement made yesterday on social media and via email, Elk Grove resident Jaclyn Moreno has announced her candidacy for a seat on the Cosumnes Community Services District Board of Directors. In a caption in her email message, Moreno said First we marched ...now we run. Like many new activists, Moreno has a political awakening in the aftermath of the election of Donald J. Trump as president. Moreno's involvement started with her help in founding the Elk Grove branch the progressive political movement known as The Resistance. That group organized as a push back against the Trump administration's stated policies and intents. While the Trump administration is the primary focus of The Resistance's activism, they have also pressed Democratic officeholders to take more progressive stances. In late January the group held a the "Lets Hold Bera Accountable" rally at Dr. Ami Bera's (D - Elk Grove) field office to express their desire for the third term Congressman to support immigrants, refugees, and minorities in California's 7th Congressional district. "Ami Bera has a voting record in the past where he has voted against funding for sanctuary cities," Moreno said at the time. "And where he has made it more difficult for certain groups coming from Iraq and other countries. We want to let him know that we expect him to protect all vulnerable communities." The vote Moreno was referencing was Bera's November 2015 vote with a majority of Republicans on the American Security Against Foreign Enemies (SAFE) Act, which called for stricter screening standards for Syrian and Iraqi refugees. The bill was never passed in the U.S. Senate and advanced to then President Obama for consideration. At the most recent meeting of The Resistance which featured Brad Westmoreland, a Democratic primary challenger to Bera, Moreno announced she would relinquish her leadership role in that group in anticipation of her candidacy. According to biographical information in her announcement, Moreno owns a small business "that focuses on providing assessments and services to students with disabilities." Additionally, Moreno noted that she is the mother of two daughters, and lists that as one reason for running for a CCSD seat. Moreno said "Both of my daughters continue to benefit from CSD programs today. Representing the people of Elk Grove and Galt, I will work hard to enhance the high-quality parks, recreation, and fire services that already make our community a great place to live." As part of her campaign kick-off, Moreno is holding a fundraiser on October 19 hosted by Elk Grove Mayor Steve Ly; Elk Grove-South County Democratic Club President Dan Schmitt; and CCSD board members Orlando Fuentes and Rod Brewer. Interestingly, the two CCSD seats that will be open in the November 2018 general election are held by Rod Brewer and Rich Lozano. Brewer, with the backing of Ly, is rumored to be considering a challenge to Pat Hume, who is expected to seek his fourth term representing District 2 on the Elk Grove City Council. More information about Moreno's campaign and fundraiser are available on her Facebook page, Facebook.com/MorenoforCSD. Progressive Democrat! Really? A different definition perhaps given the company Jaclyn Moreno is keeping from the get-go. Did you see her endorsement and picture already from former Mayor Gary Davis along with his yet another new business venture? Did Moreno hire Davis to run her campaign? We shall see!